Dr. Shilpi Bhadani is a cosmetic plastic surgeon from Gurgaon who has a strong experience of 15 years in the field of medicine. Dr. Shilpi has earned a name and popularity for herself with the help of meticulous practice and expertise that she has shown in her work. Her patients experience a sense of satisfaction and relief when Dr. Shilpi takes up their treatment file because of the sheer professionalism that she shows towards her patients and her work. The doctor has an experience of 11 years in her field and has been practicing from a number of health care facilities to reach out to a maximum number of patients. 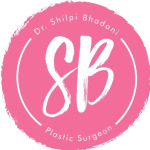 The lists of places at which Dr. Shilpi Bhadani can be reached include names such as the UPHI in Gurgaon, Paras Hospital, The Plastic Surgery Clinic in the city and the GNH Hospital. Charging a fee of Rs. 700 as a consultation, Dr. Shilpi ensures that her patients receive quick and effective treatments for all the problems that they come with. Her professionalism, in conjunction with her international medical exposure in the past has proven to be her strongest assets in gaining popularity among the patients. The cosmetic plastic surgeon from Gurgaon has managed to touch numerous lives with her wide reach and extensive experience in the field of medicine. Dr. Shilpi Bhadani holds a number of permanent memberships in the field of work that she is in. Right from Association of surgeons of India to DAFPRS fellowship in Netherlands and a Membership with Royal College of Surgeons in Edinburgh, Dr. Shilpi has a wide and diversified exposure. The groups and memberships that Dr. Shilpi is a part of have contributed a great deal to the continual growth of her knowledge and awareness. When patients need help with problems of skin, hair or any other aesthetic issues, they prefer to place their trust in the cosmetic plastic surgeon from Gurgaon.